I would guess most docs, particularly surgeons doing elective surgery and procedures, view this time of year as nothing but good, at least for them. Docs are working long hours trying to fit in all those patients before the end of the year, and more importantly, before these patient’s large annual deductibles reset January 1. My surgical schedule was filled through the end of the year on November 12th, so I turn them away. One could imagine the disappointment of being told that the surgery they wanted and deserved, the calculated savings they were looking for are not going to happen. While this problem has been going on for years, it is growing with the growth of tax exempt, larger deductible health plans. The bigger picture here is the end of the year rush might have some undesirable side effects to both doctor and patient. All the extra work, possibly being rushed at times, is likely not conducive to doing our best work. Argue this point all you want, but too much packed in, day after day, can’t be a good thing for outcomes. To put it bluntly, we might not be doing our best work in December. Patients may choose, actually pressured to be placed in harms way by succumbing to undergoing procedures they might not need. Money can be an excellent deterrent blocking us from unwanted purchases. When was the last time you bought something on sale at a store because it was calling your name, only to get home, climb out of your sale induced fog, and discover what you bought is not at all what you wanted? Unlike surgery, you can return the unwanted item that you bought. For us, the holiday season is shot if we let it happen, spending too much time away from family. And it will happen because we are more than happy to put in the extra hours to help our patients. Right? And this goes both ways; medical people and patients are both caught up in this predicament. All of this quandary is due to two things: the high deductible and the calendar year end on December 31st. Together they are a problem, apart they are harmless, if not good. This is a trend that is only going to increase, at least in the foreseeable future. Working the annual deductible will not change for good reason, but it does not have to be all at once, all in December. 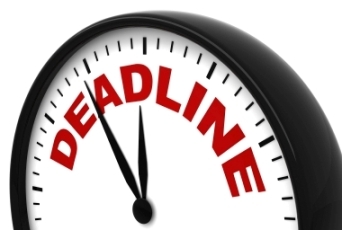 Note to the healthcare payers: please set up a system of rolling annual deductible deadlines. This could be easily done by random draw, birthdate or even quarterly. So, my deductible deadline might be November 1 and yours might be May 1. Or you could just avoid elective procedures until after mid January. We will need a couple of weeks to recover after December.